JEE Main Exam Pattern: NTA will conduct JEE Main 2019 from Jan 06 to Jan 20, 2019, for January Session and fromApril 06 to April 20, 2019 for April Session. JEE Main 2019 is a top level engineering entrance examination conducted for admissions to UG engineering programmes into 31 NITs, 23 IIITs and 23 CFTIs. JEE Main Paper 1 is conducted for admission to B.Tech programmes while Paper 2 is conducted for admission to B.Arch/B.Planning programmes. JEE Main is also the eligibility test for JEE Advanced for admissions to 23 IITs. Candidates can avail a maximum of 3 attempts for JEE Main 2019. 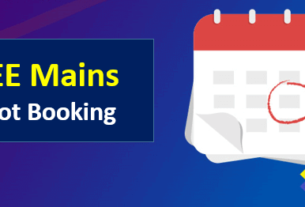 Candidates who have passed or are appearing for Class 12 exam can apply for JEE Main 2019. In this article, you will get complete information about JEE Main Exam Pattern for Paper 1 and Paper 2. From 2019, JEE Main willl be conducted twice a year now. JEE Main Exam Pattern 2019 indicates the question paper pattern off JEE Main exam. The exam pattern of JEE Main 2019 shows details of the number of questions asked, duration of exam, mode of exam, and other specifications. The exam is being hold in online and offline modes. While filling the JEE Main application form 2019, you must select appropriate mode accordingly. The exam pattern of JEE Main 2019 will be different based on whether the candidate is appearing for Paper I or Paper II. The pattern of each paper is discussed in detail below. Total Marks awarded: The paper will be set for 360 marks. Language / Medium of question paper: All candidates will be given the option to write the JEE Main exam in English or Hindi except for candidates from Gujarat, Daman & Diu and Dadra and Nagar Haveli who can opt for Gujarati. 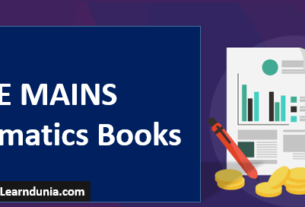 Best books for JEE Mains. Mode of Exam: The JEE Main 2019 exam will be held in pen and paper mode only. Duration of the Exam: The total time given to students to complete the exam is 3 hours.Subjects: Candidates will be tested in Mathematics, General aptitude and drawing skills. Type of Questions: While Mathematics and Aptitude will have objective type questions, the drawing will have questions that will test the candidates in their drawing and sketching capabilities. Marking Scheme: While the objective questions will be awarded 4 marks for a correct answer and a negative mark of -1 for every wrong answer, the drawing questions will be for a total of 70 marks but the marks for each question will be mentioned along with the question only. Total Marks awarded: The question paper will be for 390 marks in total. Language / Medium of question paper: Candidates will have the choice of writing the paper in English or Hindi, candidates from Gujarat, Diu& Daman, Dadra & Nagar Haveli can choose to write the exam in Gujarati. Here we will listed the exam schedule.